Buy these deluxe AV mobile rack enclosures online at https://www.storemorestore.com/Lecterns-and-Podiums-s/2000.htm. The deluxe AV mobile rack enclosures and rolling multimedia storage racks provide a flexible, durable, and clean alternative to bare metal racks. Mobile rack enclosures are available in 3 sizes: 12-rack, 16-rack, and 21-rack units. 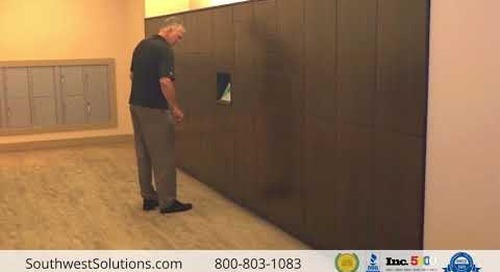 Furniture grade laminate construction has a professional look and durable design. The locking tinted acrylic front door and solid laminate rear doors allow easy access to electronics. The rear door also includes a fan cutout to prevent stored electronics from overheating. 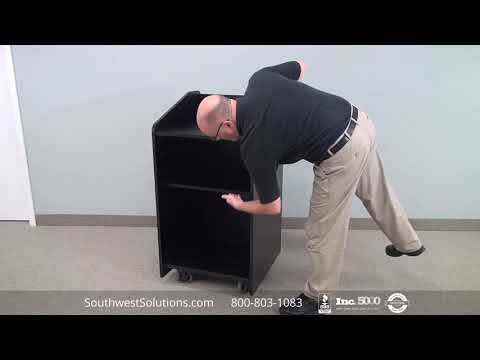 With heavy-duty locking casters, it's also fast and easy to transport the racks where you need them. 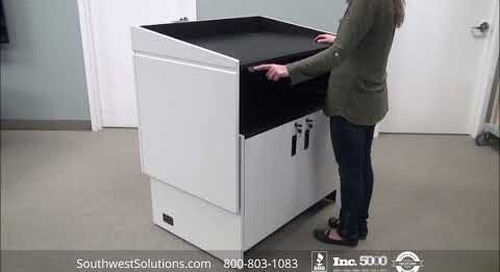 For more information about deluxe AV mobile rack enclosures and rolling multimedia storage racks, call us at 1-800-803-1083 or email info@SouthwestSolutions.com. Visit us on the web at http://www.southwestsolutions.com.